Ē-bond™ metallic powder coatings are manufactured using a proprietary processes to ensure consistent finishes in a variety of metallic colours and special effects including textures, veins, and hammertones. 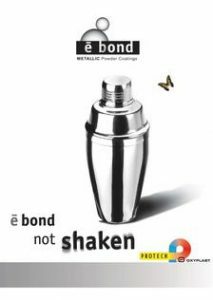 Ē-bond™ powders are reclaimable, safe and environmentally friendly. 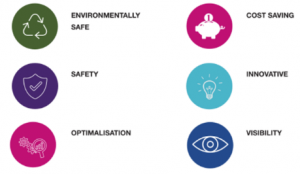 Most importantly, Ē-bond™ is backed by the technical and service expertise that has been the hallmark of Protech/Oxyplast’s technical leadership in the powder coating industry.